When you go to the top dentist in NYC to have your teeth whitened, you’ll probably end up loving the results. However, you need to stay away from certain food products if you want to keep your teeth nice and white. Continue reading and preserve your teeth whitening results by avoiding these foods. Although coffee, tea, and wine are beverages and not food, they’re still some of the most important beverages to stay away from if you want to maintain your teeth whitening results . All three of these drinks can leave their marks on your teeth, and they’ll make an even bigger mark if you’ve just had your teeth whitened. If you need your coffee or tea to get yourself started in the morning or your wine to help you wind down after work, consider using a straw or finding another way to reduce contact between the drink and your tooth enamel. Even though berries have antioxidants and are good for you in general, they can quickly stain your teeth. Just like coffee, tea, and wine, berries have nutritional value and positive impacts on your health, but too much exposure can tarnish your smile. You don’t have to cut berries out of your diet, but be careful with the way you consume them. Sweet, sugary snacks can do a number on your tooth enamel. Sugar is one of the biggest enemies of tooth enamel, and snacking in between meals in general can be bad for your oral health. If you’re going to indulge and eat sweet snacks in between meals, make sure you wash them down with some water. Leaving sugary residues in your mouth is bad news for your teeth and your oral health, so drink water as you snack and brush your teeth afterwards. Teeth cleaning can brighten up your teeth, but you’ll have to come back to your dentist in NYC if you eat the wrong foods. Park 56 Dental offers cosmetic and emergency dental care, so call our offices at (646) 783-3529 or read through our website for more information. How Long Should You Wear Your Invisalign Aligners Daily? Even the best dentist in NYC can’t force you to keep your aligners in when you go through Invisalign treatment, so you need to know how long you should wear them for. The way you use your aligners can make or break your treatment, so it’s important to wear them at the right times. The nice thing about Invisalign aligners is that you can take them out whenever you want, but you shouldn’t leave them out for too long. Dentists recommend that you keep your aligners in for at least 20 to 22 hours each day. 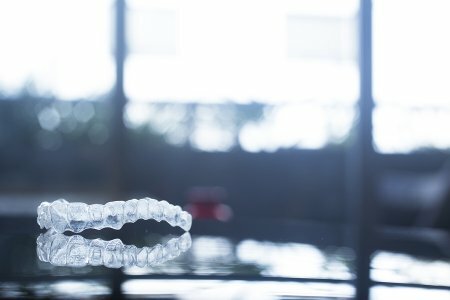 You can—and should—take your aligners out when you eat a meal or brush your teeth, but aside from these occasions, you should do your best to keep your Invisalign aligners in at all times. Your aligners can’t do their job if you don’t use them, which means your appearance and your oral health will suffer. If you have more questions about Invisalign in NYC, please reach out to Park 56 Dental. Our dental clinic is proud to offer root canals, veneers, and dental implants in addition to Invisalign, so call us at (646) 783-3529. Sedation dentistry involves the use of sedative drugs to relieve anxiety. If you choose sedation dentistry for your next root canal or veneers treatment, you’ll find yourself more comfortable and able to sit through several treatments at a time without too much pain. Keep reading to gain an understanding of the benefits of sedation dentistry. Even the best dentist in NYC can’t keep you comfortable on his or her own throughout your root canal or veneers treatment if you have severe dental anxiety, but sedation dentistry changes the game . Sedation dentistry uses anxiolytic drugs to keep you calm and comfortable when you go in for a dental procedure. Some people experience extreme anxiety that keeps them out of the dentist’s office and causes their oral health to suffer, but sedation dentistry provides the solution. If you don’t get the opportunity to see your dentist as frequently as you’d like to, then you might want to have more than one treatment done in the same sitting. If this is the case for you, sedation dentistry can be a lifesaver. Sedation dentistry increases your pain tolerance and allows you to get through long and complex procedures without the discomfort that you might normally feel. 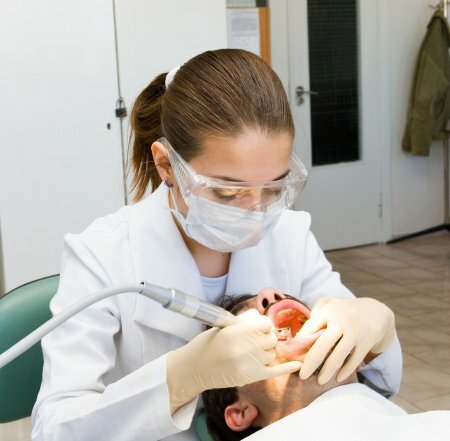 If you’re planning on getting as much work as possible done at the same time, you might want to talk to your dentist about sedation dentistry. Sedation dentistry isn’t just about reducing anxiety. Being sedated while you undergo a dental procedure can help your anxiety as well as your pain threshold. Less pain means you can get through additional procedures without being uncomfortable, and you’ll have a better experience in the dentist’s chair overall. Everybody gets nervous sometimes, but sedation dentistry near NYC can help you handle your nerves and improve your oral health. Whether you need a root canal or you’re looking for a set of new veneers, the Park 56 Dental team can help. Give us a call at (646) 783-3529 or visit our website for more information. Some people get nervous thinking about visiting the dental clinic, even when they have the best dentists in NYC to take care of them. 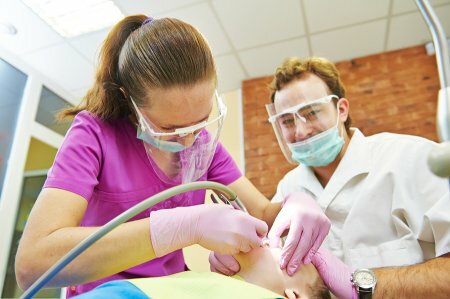 Sedation dentistry helps people with dental anxiety stay comfortable when they go in for checkups, but there are different types of sedation. Read on for a comparison between deep and moderate sedation. If you only have mild anxiety or you’re getting ready for a longer procedure, then mild sedation might be all you need. Moderate sedation is the next level up, and it’s helpful for those whose anxiety is more significant. Like mild sedation, it’s also used for long or complicated procedures. This type of sedation brings on a state of deep relaxation, but you’ll be awake the whole time. With deep sedation, you may drift in and out of consciousness and might not remember the experience. You’ll need someone to bring you home after moderate or deep sedation. Sedation dentistry near NYC can make it easier for people with severe anxiety to take care of their teeth and gums, and it’s a service we’re proud to offer at Park 56 Dental. Call (646) 783-3529 and work with some of the best dentists in NYC to improve your health.